Find a Stage Illusionist for hire near you in minutes! Option 1. Enter your event location below & contact a Stage Illusionist directly! Option 2. Request multiple quotes from available Stage Illusionists Get Quotes! Option 3. Read information & advice on hiring Stage Illusionists Read Advice! WANT TO KNOW MORE ABOUT STAGE illusionists? Read on for the most comprehensive guide to booking an Illusionist, including how much an Illusionist costs, exactly what they will do at your event, plus tips, advice and information to help make your event one to remember! A modern day Stage Illusionist is the ideal form of entertainment for people who are looking for to book something that little bit different and spellbinding. Some of the Illusionists on our directory have appeared in film and TV performing their illusions! 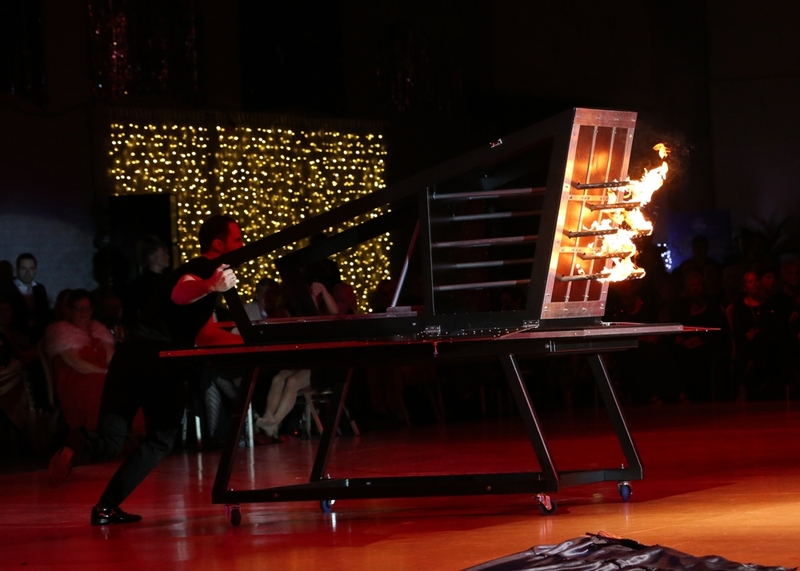 What exactly will A STAGE ILLUSIONIST do at your event? illusions, you get a whole show packed with laughter, death-defying stunts, mind-reading, sleight of hand magic, objects that move on their own accord and close-up magic that will leave everybody bowled over! Here at entertainersworldwide.com, we have a vast directory of Stage Illusionists all with varying costs, who are famed the world over for their amazing magic shows! A professional Illusionist will know how to captivate the advance with their stage presence, wit, props and assistants. It could be the case that your hired Illusionist will need a couple of audience members from the crowd to help out with proceedings, so you may even get the chance to create a bit of magic yourself! Depending on what you require, a Stage Illusionist can range from a dramatic, thrilling live show full of dangerous stunts, or they can lean more towards a fun style of entertainment by packing a show full of humour and wackiness. 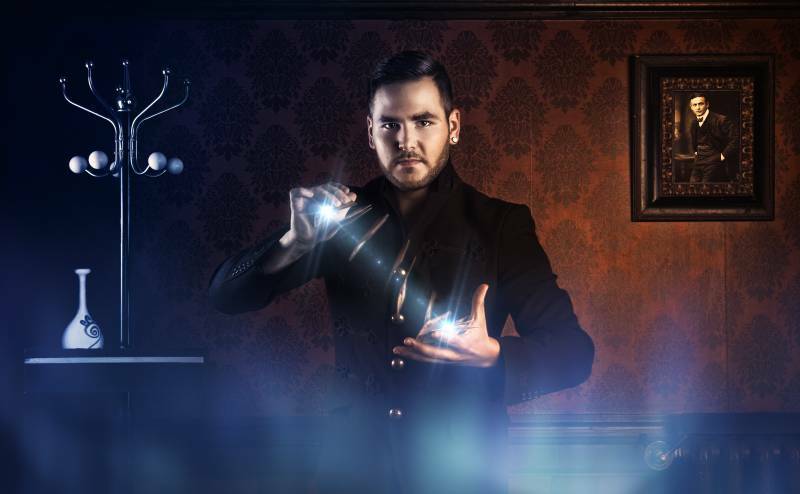 All of our Illusionists come with bio’s and details about their show on their page, but if you can’t find the information that you are looking for regarding the show, then please use our easy messaging service to find out more. Mainly, a Stage Illusionist will entertain your audience with a fantastic live show that will put the wow factor into celebrations and impress your guests, whatever their entertainment tastes may be. What event types are stage ILLUSIONISTS hired for? Why should I hire an Illusionist for my wedding drinks reception? We hear you ask! Well, the main reason is that when you book a professional Stage Illusionist for your event, they will bring with them edgy stage-magic which is thrilling and captivating. A contemporary Illusionist is much more than card and coin tricks (although, we think the card and coin tricks are just as fantastic!) and whilst the bride and groom are busy welcoming guests etc, the sleight of hand magic is a perfect way to keep the rest of the crowd entertained, no matter what age! If you’re looking for a suave and sophisticated way to entertain the guests at your wedding whilst at the wedding breakfast, then an Illusionist would be a great way to do this! They won’t be on overbearing presence and they will duck and dive between family and friends with ease, all the while wowing and dazzling with mind-blowing tricks! A perfect mix and mingle styled entertainment! If you are looking for acts and performers for a trade show, product launch or corporate function, then an Illusionist is a great option to break the ice and to get the whole crowd talking! Maybe you want an Illusionist for your colleages birthday party or for an annual work bash? An Illusionist will dazzle your guests and get them discussing and dissecting the ins and outs of the show long after it has finished! A professional Illusionist is a big crowd pleaser when it comes to parties! They are without doubt ideal for entertaining the guests. Depending on the Illusionist, they can attract a big crowd and be the main stage entertainment, or they can perform close-up magic (or table magic) for your friends and family to enjoy on a more personal level. The show can be tailored to your specifications exactly. Just use our personal messaging service to find out more! How much do stage ILLUSIONISTS cost to hire? Our simple to use entertainment directory allows you to firstly search for the best Illusionists who are local (or travel to your area) and then via the contact form you may contact them directly to enquire for a no obligation quote to perform at your event. Some acts will also add a rough price guide to their profile for your convenience. What are the usual set formats and performance lengths for stage ILLUSIONISTS? An Illusionist can tailor their performance to times to suit you and your event, however, on average a professional Illusionist will perform for two 45 minutes sets. How much space will a stage ILLUSIONIST need at your event? This depends on what kind of show you request. Most Illusionists can operate on a fairly low-key level, just to a few lucky 3 or 4 people from your crowd (otherwise known as table magic or micro-magic) and they can additionally perform at a much bigger level if needed, on a raised stage. So, we would advise to contact the Illusionist themselves to see what they have up their sleeve. What equipment and set up requirements do stage ILLUSIONISTS need? As with a lot of the artists signed up on Entertainersworldwide.com, a Stage Illusionist will provide most of their own equipment. This may include: wands, cards, special tables for sawing and all kinds of weird and wonderful objects. You may want to enquire if the Illusionist needs a PA to amplify their voice, in which case we would advise to use our easy to use messaging service to find out. How can you find and book a stage ILLUSIONIST with Entertainersworldwide.com? WANT TO RECEIVE A RANGE OF QUOTES FROM Stage Illusionists?